We're about to go meta. If you've seen The LEGO Movie franchise, you probably noticed some sparks fly between Emmet and Lucy. And TBH, their sub-plot is lowkey one of the best parts of the movie. Are they together? Are they vibing? Is this a one-sided infatuation? I NEED to KNOW. I'm not the only one emotionally involved, either. This popular fan theory has taken the maybe-romance between our two heroes to the next level. ICYMI, Emmet and Lucy are LEGO toys that Finn, a real, live-action boy, plays with. So The LEGO Movie franchise explores an animated world that Finn brings to life through his imagination. So here's where things get really meta. If Emmet is the LEGO toy that Finn uses to represent himself, who does Lucy represent? The fan theory in question says that Lucy represents a girl from school that Finn has a crush on. And Emmet and Lucy's relationship is representative of Finn's journey of self-actualisation to become the hero he thinks his crush deserves. HOW CUTE IS THAT?! So earlier this year, The LEGO Movie franchise producer Chris Miller sent out this tweet that basically confirmed everything we thought about Emmet and Lucy to be true. 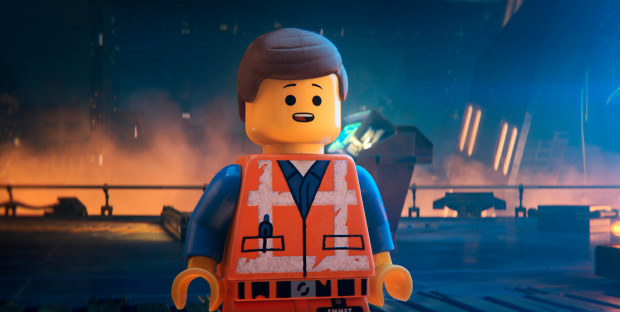 Given this GIFT that Chris Miller has gone and blessed us with, watching Emmet and Lucy in the new The LEGO Movie 2 has got me feeling some kind of way. Here are 10 Emmet/Lucy moments from the new film that have a) made me wonder what Finn was projecting onto the narrative and b) made me remember how pure primary school love was. Does this represent Finn daydreaming about growing old with this crush and doing ~adult~ things for her? Because I think it does. 2. ...and he even orders hers before his own. If that's not love, I don't know what is. Finn is going to make a great future husband. 3. Emmet surprises Lucy by building her a damn DREAM HOUSE, far away from the wasteland that Bricksburg has become. This must represent Finn's desire to be able to provide for his crush one day. AND it converts into a spaceship, just in case they need to flee from aliens one day. 4. And Emmet's favourite part of the house? A porch swing with a cute 'E & L 4-EVA' cushion. Emmet even takes the cushion with him on his quest to save Lucy – which is obviously representative of Finn's journey to win his crush's heart ❤️. 5. When Lucy gets kidnapped, Emmet jumps to her rescue without thinking twice. Everyone else is just an afterthought to both Emmet and Finn. Raptor trainer/archeologist/cowboy Rex Dangervest is Emmet's mentor in the film. Which is maybe Finn searching for an older, wiser male role model to emulate? 7. ...and goes undercover to avoid an evil alien queen and her cronies in the process. Queen Whatevra Wa'nabi is no match for Emmet's love. Just like the challenges Finn overcomes to win his crush's heart. 8. Emmet draws stubble on his face to try to impress Lucy. Finn just wants to get cute for his boo. 10. ...only to have Lucy confess that she was wrong to try to change him, and likes him just the way he is. Finn has obviously learnt that all good relationships are built from a mutual acceptance of the other. Be still my beating heart.